Tabs Studio v1.2.6 is released – added ability to open corresponding files. I’ve added the ability to conveniently open corresponding files. For example, having stdafx.h opened you can now quickly open stdafx.cpp and vice versa. It works for all combinable extensions that Tabs Studio supports. TabsStudio.Connect.OpenCorrespondingFile Visual Studio command was also added to be available for keyboard binding. This command looks for all available corresponding files relevant to the currently selected tab and opens first one from the list. If all corresponding files are already opened, OpenCorrespondingFile activates next extension as NextTabExtension command does. Having standard h/cpp pair this behavior allows you to hit OpenCorrespondingFile shortcut and get to a corresponding file no matter if it is currently opened or not. There was a problem downloading Tabs Studio installer using Internet Explorer – IE changed vsi extension to zip. It is fixed now. Tabs Studio v1.2.5 is released – added horizontal and vertical tab groups support, added .aspx.vb to the list of combinable extensions, fixed tab from moving to the last position on read only status change. IsGroupSelected property is added to all Tabs Studio controls to style inactive group. Default style sets text opacity for not selected group to 60%. Tabs Studio v1.2.0 public is released – no changes comparing to v1.1.6. Tabs Studio v1.1.6 is released – added Save, Floating, Dockable and Close All Documents commands to tab’s context menu; added tooltip for non document tabs. This is kind of v1.2.0 Release Candidate. I’ve added Save command to document tab’s context menu, Floating and Dockable commands to non document tab’s context menu, Close All Documents command to both context menus. Notice that I used hard drive icon for Save command instead of traditional floppy disk icon. 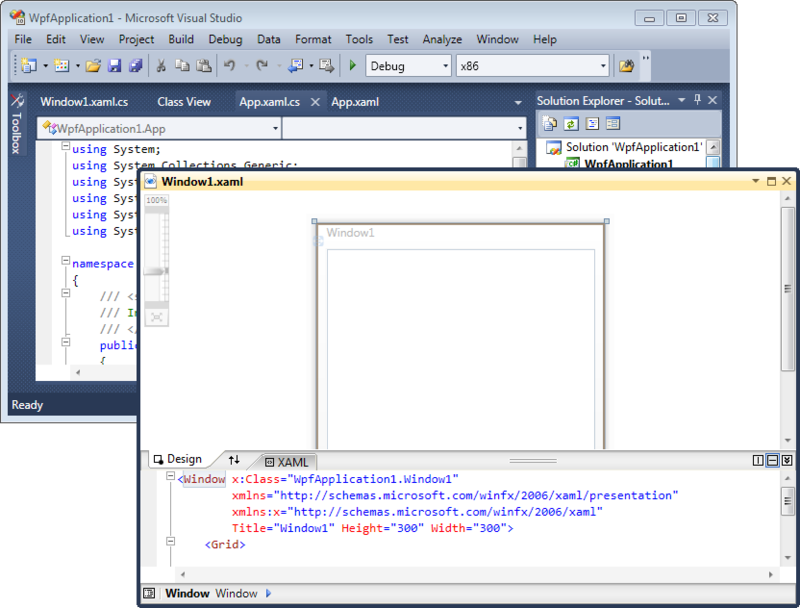 Added Visual Studio TabsStudio.Connect. * commands to open about and settings dialogs, close selected tab, activate previous and next extensions in selected tab, select previously selected tab. Added ability to change tab position by dragging it with mouse. Added IsPreviouslySelectedTab and IsDocument properties to tab controls. Fixed IsTabSelected and IsMultiExtensions properties for TabToolTip control; IsTabSelected, IsExtensionActive and IsExtensionReadOnly properties for TabExtensionToolTip control; IsMultiExtensions property for TabInternals and Tab controls. These properties were always false.